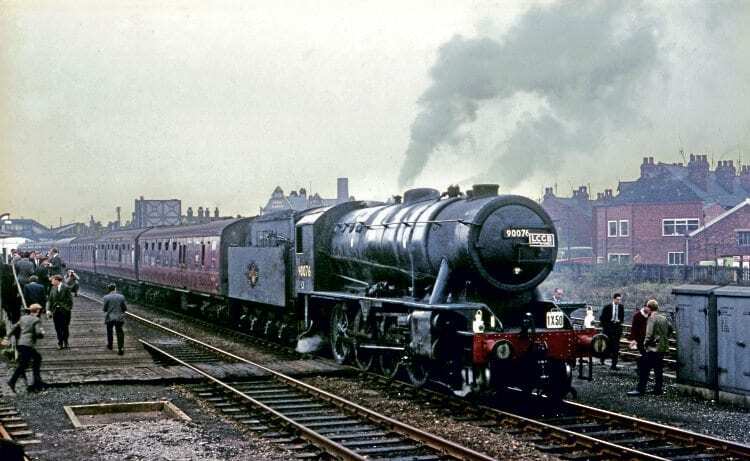 This month’s Practice & Performance by John Heaton FCILT looks at the WD ‘Austerity’ 2-8-0s, ubiquitous freight locomotives, based on the Stanier 8F. They were produced during a two-year spell from 1943 – with modifications by Robert Riddles. IT COULD be almost any winter’s day in the 1950s. Mirfield station nestles against the eastern edge of the Pennines as advection fog from the confluence of the Rivers Colne and Calder mixes with smog from the textile factory chimneys. 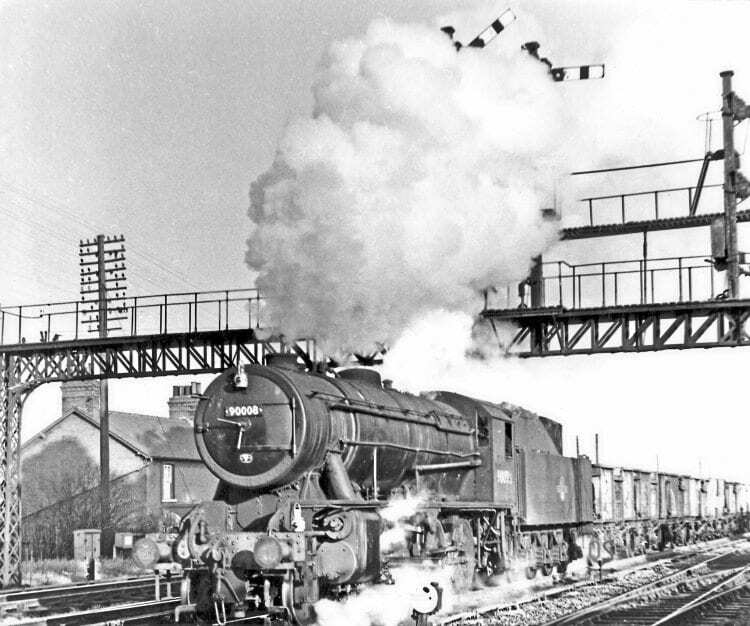 The resultant miasma severely limits the visibility available to approaching steam locomotive drivers, but the area’s reputation as the foggiest place in Britain has long been recognised, provoking the pre-war installation of searchlight-style, electric speed signalling. The fog hides the source of noisy machinery. The rhythmic racket of looms in the nearby woollen mill is suddenly joined by another metallic sound. 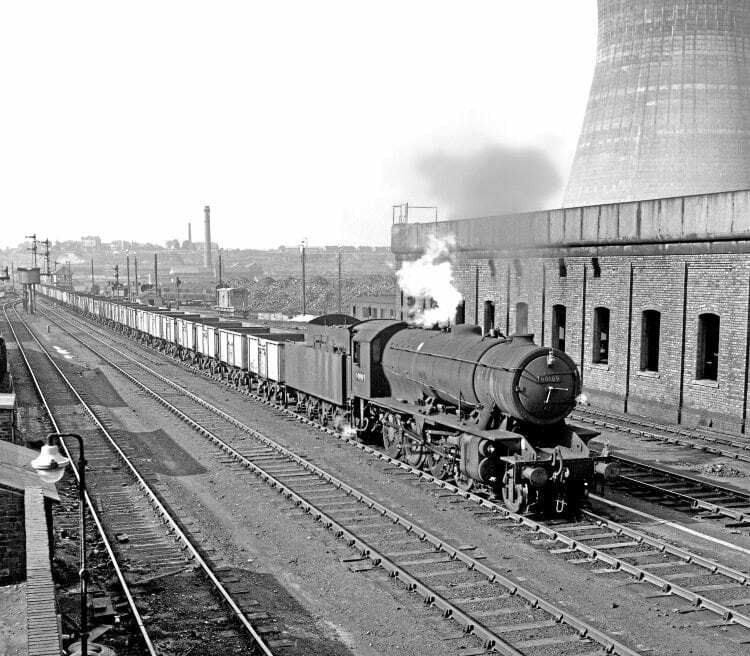 Clank-Clonk-Clank – the signature sound of an approaching ‘Austerity’ War Department (WD) 2-8-0 freight locomotive grows louder as a dirt-clad grey outline emerges from the veil and slips slowly into the Up sidings. 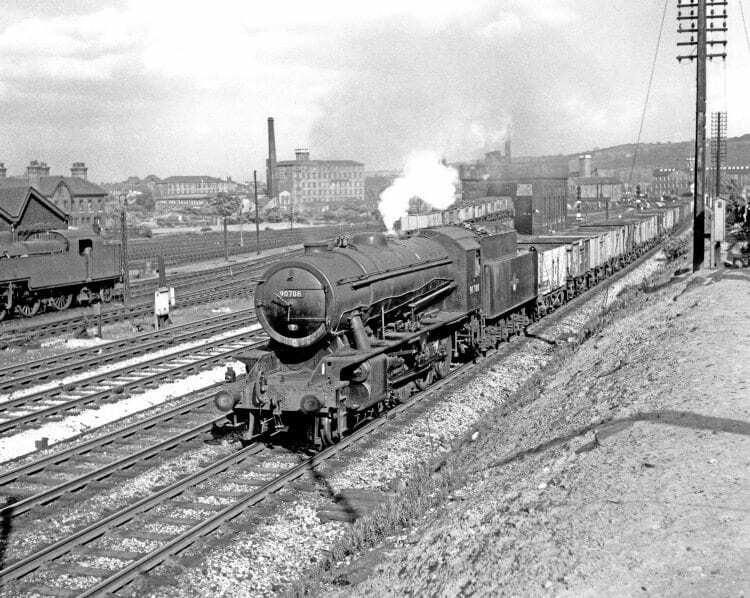 After attaching to a train of Huncoat power station coal, the locomotive makes an uncertain start, slipping violently as tractive effort overcomes adhesion weight, before plodding steadily out onto the main line, its surprisingly now-gentle exhaust beat choreographed with the emissions from the squat chimney and merging immediately with the enveloping fog. Bell signals from the Mirfield signalboxes alert Heaton Lodge Jct to the train’s approach and the road is set for the Calder Valley four-track route towards Brighouse. An assisting loco, likely to be a classmate or Stanier ‘8F’, allocated to the inappropriately named Rose Grove depot, will be waiting at Stansfield Hall to bank the load up the 1-in-65 gradient towards Copy Pit summit – a humdrum event in the annals of industrial Britain, but one that many wish they had relished more at the time. Perhaps the humble WD freight locomotives should have been treated with more dignity as they were heroic survivors of overseas war service. By 1942 the uncertain prognosis for the Second World War was beginning to favour an Allied victory, but hostilities were split across many fronts and a requirement for additional railway locomotive power was predicted, resulting in an order for no fewer than 935 WD 2-8-0s. The logistics of designing and producing such an output are staggering and one can but marvel at a war machine that could respond to such demands. It is a platitude we would not have the industrial capacity nowadays, but it is also doubtful we could organise it administratively, even with the benefit of our communication technology. On top of this task was overlaid the small matter of an order for 150 2-10-0s to a similar design. Read more in the October issue of RM – on sale now!